Outside school courses and special academic programs, Sociology at UC San Diego has other opportunities and ways to get involved available to undergraduate sociology students. Whether you're looking for something to further your academic career, internship opportunities, ways to get involved in sociology, or just hoping to meet people with a similar interest, we hope our resources will help you reach those goals with meaningful experiences in your field of interest. Sociology in Action is the brand new and only sociology club on campus. Welcome to the world of Sociology, where all things are great and beautiful. My name is Angel Osuna and I am one of the leaders of Sociology in Action, the Sociology club on campus. 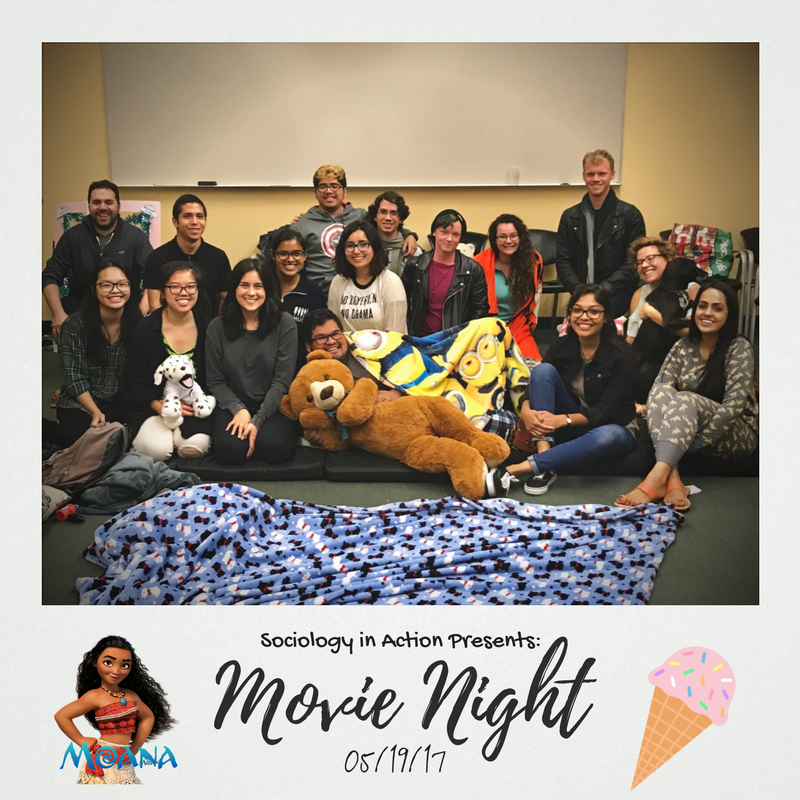 The club is focused on providing an inclusive space for all students to continue the learning process of Sociology through action and discourse. Please join Sociology in Action and join us for an event. You can keep yourself up to date with our events by joining the Facebook page: UCSD Sociology Undergrads. Please feel free to ask any questions on there or send me an email for further details at afosuna@ucsd.edu and I will answer any questions you may have. Again, welcome to the world of Sociology and hope to hear from you soon. For updates on events and GBMs, please visit UCSD Sociology Undergrads. We have created UCSD Sociology Undergrads in the hopes of creating a space where sociology undergraduate students at UC San Diego (majors and minors) get to share information with everyone regarding any opportunities, important information regarding the department, campus, classes, etc., and to promote conversation between sociology students, as well as give and receive advice from one another. SOC Student #1: Hey has anyone taken SOCI 152: Social Inequality and Public Policy with Isaac Martin? Considering taking it, what’s it like? SOC Student #3: Yeah pretty good class. I have the books if you wanna buy them from me? 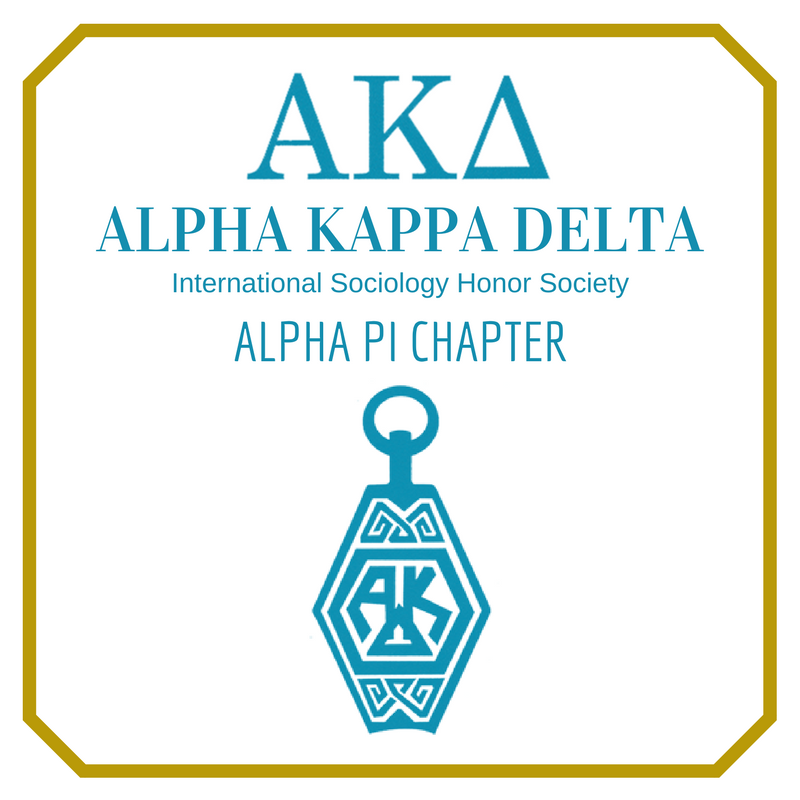 Alpha Kappa Delta is the International Sociology Honor Society. Membership in Alpha Kappa Delta is an earned honor and is limited to undergraduate and graduate students in sociology (majors, minors, and those who are interested in sociology) who have maintained a record of high academic achievement, and sociology faculty members. Membership in Alpha Kappa Delta is an earned honor. Once you join, you become a lifetime member. Your membership may be used on your resume, applications for graduate school, and job applications. AKD was founded in 1920 at the University of Southern California by Dr. Emory S. Bogardus and became affiliated with the Association of College Honor Societies (ACHS) in 1967. AKD is also affiliated with the American Sociological Society (ASA). Applications to the program must be submitted to the Sociology Department by Friday May 3, 2019, Sprign Quarter. Applicatications/ payment are only accepted untill this date. Applications will be considered incomplete until payment for membership ($50) and/or any AKD paraphernalia is submitted to the Department of Sociology (SSB 401). Please see the following page for our current hours. The purpose of this program is to award funds to AKD student members who present at regional sociology conferences. Up to $400/student, but no more than $1,200 per chapter may be awarded. The purpose of this program is to provide an opportunity for all AKD members, both students and faculty, to connect and network with other AKD members and professionals in the field. Undergraduate AKD members are encouraged to submit their papers for a chance to win cash prizes and up to $1,000 in travel money to attend the ASA annual conference. Checkout our quarterly E-Newsletter for opportunities, events, and all updates concerning sociology!